Because wood pellets are made of densely compacted, kiln-dried wood fibers – they are twice as absorbent as shavings, and hold four times the odor elimination power! In the video below, watch how the pellet bedding reacts when water is poured directly onto it. Did you purchase a biomass-burning heating system for your home that meets the 75% efficiency rating between January 1, 2015 and now? If you did, you’re likely eligible for the $300 Biomass Federal Tax Credit! 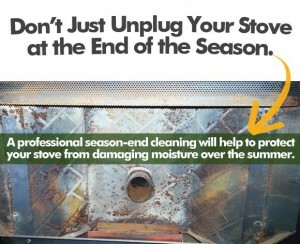 Unfortunately, there’s no master list of eligible stoves. To make sure yours meets the 75% efficiency rating requirement, just check with your retailer. You’ll need the Individual Income Tax Return Form 1040 and the Residential Energy Credits Form 5695 to include the Biomass Federal Tax Credit on your filing. If you bought your eligible stove this year, or are planning to this year, prepare for your 2016 tax filing by keeping your sales receipt and the manufacturer’s certification. These are just for your records, not to be attached. If your stove meets all the requirements, and you purchased it in 2015, did you include it on your tax return? 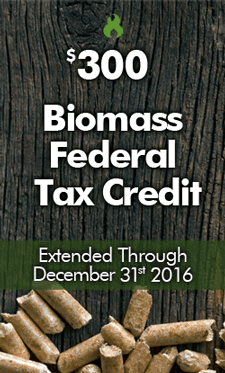 If you missed out on the Biomass Federal Tax Credit, use form Form 1040X – Amended U.S. Individual Income Tax Return. You have up to three years after the filing or due date, or two years after paying your taxes to amend. Full information on how to amend your return can be found here.